Recent testimonials from happy clients of Allora Butchery. Please read the reviews supplied to us by some of our customers who understand and appreciate the products and service that we are proud to provide. 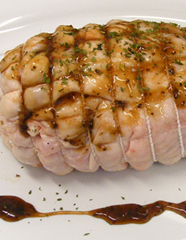 We can highly recommend Allora Butchery, as I don’t know what I would do without their excellent ‘time saver meals’. When I make the call for my next delivery the staff is always friendly and helpful. The whole ordering and delivery process is efficient, nothing is too much trouble. After hearing about the great products from Allora Butchery near Warwick, we decided to try their delivery service to the Redlands outside Brisbane. We have found the meat is great ! The staff is friendly and the delivery service is prompt. We don't hesitate in spreading the word. I have been ordering meat from Allora Butchery since December 2008. I would just like to say that your service is outstanding. I feel that you are now part of our family. We have monthly chats with either Grant, Janette or the delivery team. The meat is always delicious and always carefully packed and labelled so all I have to do is pop it in the freezer ready for the next meal. The time saver meals are fantastic and the kids love the Honey BBQ chicken enchiladas. I love the fact that we get personal service. We are all so impressed by your products, but most of all by your service. We will continue to be faithful customers and will endeavour to get more customers for you in Brisbane so that we never have to worry about meat being delivered to our door. Laurel, Alex, Aisling, Sarah, Connor and Rory Scott. Allora Butchery has such a wonderful variety of timesaver meals, value added products and straight cuts of meat that it makes it easy to support a family business as opposed to a supermarket chain. I love the benefit of quality goods delivered to my door at a reasonable price. There is so much we could say about Allora Butchery which is all good. The delivery is always prompt. The meat is always packed so well that in no time we have it in our freezer. We buy a hindquarter of beef regularly and have never had a complaint at all about the quality. Modified on 13/11/2013 1:13:56 PM.